Asure Wayfarer Motel features an outdoor pool, an indoor hot tub, and free internet access in the business centre. It is within a 10-minute drive of Ancient Kauri Kingdom, Gumdiggers Park and Nocturnal Glowworm Park. All rooms have a kitchenette with a microwave, a fridge and a toaster. Each comes with ironing equipment and satellite TV. The property offers guest laundry and a BBQ area. A pick-up service for day tours to Cape Reinga and 90 Mile Beach can be arranged. 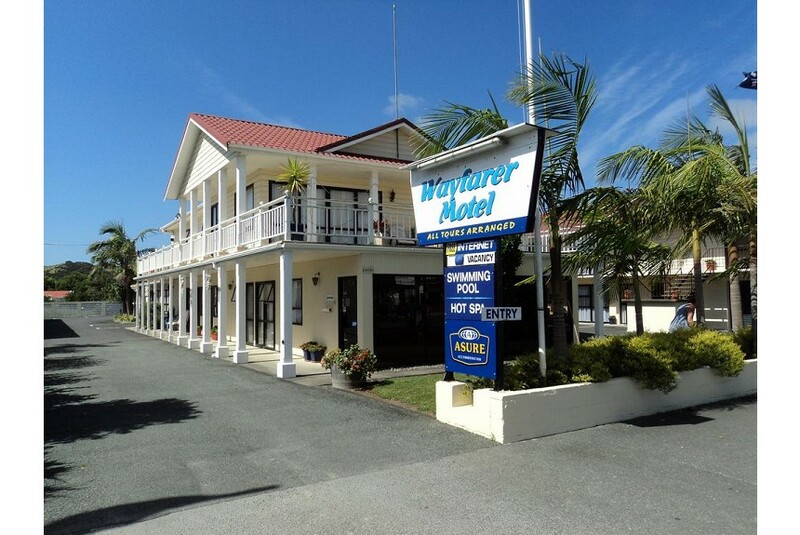 Kaitaia Asure Wayfarer Motel is a 10-minute drive from Kaitaia Airport, 90 Mile Beach and the Ancient Kauri Kingdom. It is a 30-minute drive from Karikari Peninsula and a 45-minute drive from Doubtless Bay. This property also has one of the best-rated locations in Kaitaia! Guests are happier about it compared to other properties in the area.